Natalie Furness is the Co- Founder of Women in Technology Revolution (WiTechRev). She is passionate about empowering women to aspire to lead in industry 4.0. Her community are working on some exciting projects, the first being #girlslikeme. If you would like to put yourself forward to mentor a ‘girl like you’ for 2 hours per month, please do get in contact (details at the bottom of the interview). What prompted you to set up your initiative – Women In Technology Revolution? I think it was in 2017 that we first met, Helen, wow how time has flown! The Women in Tech Revolution “Ah, ha” moment came a little later. In April 2018, I was invited to speak on use cases of blockchain in healthcare at a conference in London. That’s where I first met Susan Maddison, the Head of IT at Aetna, a brilliant leader in technology who inspired me with her vision on blockchain cases in the property vertical. It was a shock to us both, when standing next to each other on stage that we looked upon a sea of men. There was not one woman in the audience! Confused as to why we had met so few women on the speaker circuit we began discussions on how we could work to inspire more women to join and lead in the growth of industry 4.0 technologies.For the next few months we went to as many events as we could and spoke to fellow women in the audience to ask the community how we could help. After weeks of gaining feedback from a variety of events we realised that the thing that was missing was events that empowered passionate women from all walks of life to come together to learn and debate about the use cases for all disruptive technologies. It was at this moment that Women in Tech Revolution was born! Since July 2018 we have hosted a variety of sold out events, built a committee-led community and created a network of women and men who had the same vision, to achieve 50:50 gender parity in technology by 2030. What do you think are the main barriers still putting women off from working in STEM careers? There is no one simple answer to this question. Interestingly, we completed a survey of over 150 attendees in the first couple of months of running our events. Every attendee was asked to write on a post-it what they thought the main barriers to entering a career in emerging technologies was. Answers from the women aged 18 – 35 varied greatly. Some focused on the external factors, such as a lack of formal education, lack of role models, social conditioning and genetic make up. 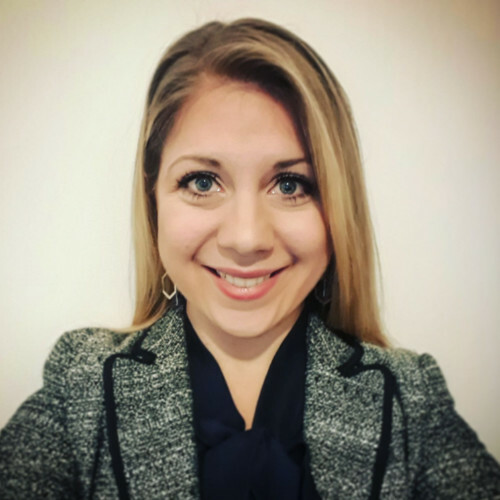 Others focused on internal limitations referring to the fact that women do not push themselves to take risks or that they “choose” to pursue careers that have more stability. For me, I see the lack of visible role models being a big issue. There are such amazing women doing such amazing things but we just don’t seem to hear about them. If you Google “leaders in technology” or “leaders to follow” right now you will see the results. All of the images are, indeed, men. Imagine if you were a young women looking for inspiration. It is much harder to find someone that you can relate to, to inspire you to look into opportunities in technology. The other big limitation that we have discussed in our community is the perceived lack of career progression in STEM. When applying for a new role part of our due diligence is to review the gender balance at board level. Strategically, it makes sense. Smart, ambitious and analytical women would – and should – consider the probabilities of reaching their goals with every career move. According to Women on Boards UK, in 2017, 28% of board level seats are occupied by women. With only 26% of boards achieving 33%. If organisations do not provide evidence that support the vision on their website to promote gender equality brilliant women will seek roles elsewhere. Is blockchain the same, better or worse than other male-dominated fields when it comes to including women? How can we change that? 95% of blockchain enthusiasts are men. That is developers, investors, founders – and anyone only remotely interested! There are not many women despite the fact that blockchain technology is all about the fact that anyone can participate anonymously and independently from their ethnicity, gender or background. The great thing is that the blockchain sector is in its infancy. Now is the time that every man, woman and organisation can make a difference to the future of industry 4.0. That’s why we founded Women in Tech Revolution. We want to inspire every tech-curious woman to join the technology revolution by providing them with a diverse array of female role models, access to the resources that they need and a mentor for life. We believe there is also many non-technical careers in tech. We believe that any brilliant woman can work in technology whether her background be in STEM, business or creative arts. We’ve also had some amazing support from men in the industry. Simon Taylor, Co-Founding Director of 11:FS and Professor Patrick McCorry, who teaches on the Work on Blockchain courses, have spent much time working with us and they are both appearing in our gender-balanced panel at our next event on 27 March. We welcome men to our events and encourage them to invite female friends, even if they are just influenced to attend by learning about the WeWork sponsored drinks. My advice to organisations is to start as you mean to go on. Early diversification at board level is key to illustrating that you genuinely believe in empowering women. Those that embrace this ideal now with reap benefits in decades to come when they have the most talented men and women competing for roles. Women, believe in yourselves and surround yourselves with people who want you to succeed. For those of you in leadership roles we would love to hear from you, so that we can spread your story to our community. We need more role models like you. In your events you cover not just blockchain but other frontier technologies, what new career avenues do you see opening up as these new technologies evolve? We are often asked why our events cover emerging technologies beyond blockchain. I have been personally inspired by Outlier Ventures’ vision of the future in their paper on the Convergence Ecosystem, written by Lawrence Lundy-Bryan. I agree with Lawrence that we will see a future in which data is captured by the Internet of Things, managed by blockchains, automated by artificial intelligence and transmitted across 5G amongst and new technologies, yet to emerge into the mainstream market. Women in Tech Revolution is all about thinking forwards. We exist to inspire others to create new innovative ways of solving the world’s biggest problems. For us it is is a necessity for every one of our member to understand the capabilities of all emerging technologies. We want to prepare our leaders with the knowledge and skills to be able to identify new market trends, as well as, solution for their business or workplace project. Alongside education, our events are designed to promote market growth. What has been fascinating is the number of women that have told me that while they originally attended to see the AI or the wearables speaker they have now fallen down the blockchain rabbit hole. For those members interested in learning more about a specific technology we have a great network of community events and training courses that frequently recommend. How do you think perceptions of blockchain and cryptocurrencies have changed since you have been working in this field? It is so interesting to look back at conversions that the bitcoin community was having in 2012, comparing them to the conversations surround fundraising for blockchain startups in 2017 and then again in 2019, when enterprise blockchain technologies almost feel strangely “mainstream.” I am excited that after being the only speaker on blockchain solutions for healthcare in 2018, I have invited to return to sit amongst and array of technical and business experts to discuss blockchain on the keynote stage preceded by our Secretary of State for Health, Rt Hon Matthew Hancock. The word ‘Blockchain’ has become so much more than a decentralised, distributed ledger technology. Blockchain has evolved to become its own brand. People now refer to a whole technology stack as Blockchain technologies. I am excited to see what the next decade holds for those involved today. Do you see a strong desire among younger people to embrace these technologies both for business purposes and also for social good? Now, more than ever we see a change in the behaviours of individuals to prioritise socio-economic impact when making decisions. Market research shows Generation Z to be the first generation to shift their priorities to choosing social impact over costs when making purchasing decisions. At our events, I have met attendees working within the charity, energy and healthcare sector who are looking for emerging technology solutions that they could implement to solve specific industry problems. What is next on the agenda for WiTechRev? We have some many exciting projects on the go right now, we are launching our Industry 4.0 mentorship pilot at our event in March. Susan Maddison is leading the way and has informed me that she has some amazing leaders to match prospective mentees with. There will be two intakes, one in March and one a little later in July in preparation for the launch in November. The programme is designed specifically to progress women’s careers in industry 4.0 technologies. Our focus is on developing women that have a passion for innovative technologies with skills in engineering, creative design, marketing and/or business. Prospective mentees and mentors are welcome to apply to take part in the pilot programmes via our website. Simply tell us a little bit about you and how you would like to get involved and our team will email you the relevant application questionnaires. We have some big plans for the November launch. However, I am under strict instructions not to talk about it from my team. Those signed up to our newsletter will receive updates soon. Our news is always accessible on Twitter, Linked In and Facebook. And, last but not least, as it is International Women’s Day, can you leave us with a message for any women reading this who think a career in tech is not for them? I have too many messages that I wish I could tell the 18 year old version of myself, however in this moment I would like to leave you with this: “No matter what anyone tells you, never be afraid to take a step into the unknown, because it is here that you will realise that you can achieve more than you could ever have imagined”. You can find out more about Women in Tech Revolution and how to get involved at their website. Or sign up for the next event which takes place on 27 March here. Viva La Revolution! "Your healthcare event was brilliant. Glad to see that London still leads the way in terms of international innovation." "I was most impressed by the quality of speakers and delegates. We are at the challenging phase of moving from theory to practice for many of the potential users of blockchain. Your events are certainly helping to bridge the gap!" 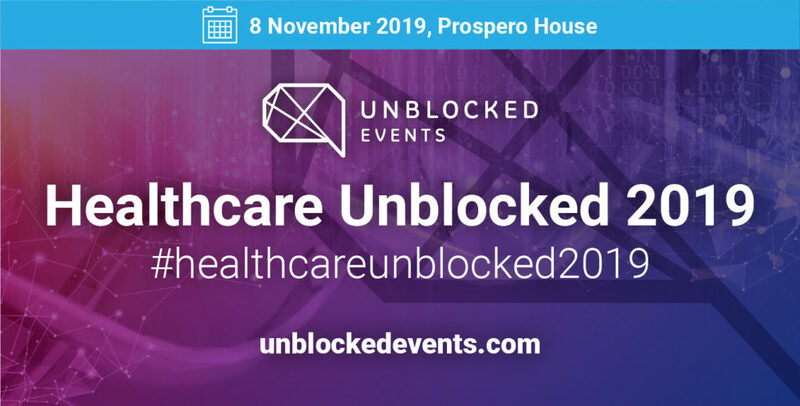 "One of the best conferences ever with a level of relevant and real-world examples that are not always found"
"Healthcare Unblocked was the first healthtech event we’ve attended that truly covered new ground, spoke in line with the sector, and exhibited extremely well-informed speakers and audience." "Healthcare Unblocked 2018 was a seminal event"
"a rich, intelligently designed agenda and a chance to network with go getters"
"An extremely high quality cutting edge event with expert speakers and well informed audience - thoroughly enjoyable and excellent learnings"
"I had the pleasure of meeting Helen Disney last year when she organised what I would have said was the premier event in Blockchain." "Very interesting and a proper glimpse into the not-too-distant future. The talks felt particularly relevant to my area of work so I'll be investigating further." "The most succinct explanation of what Blockchain could do for our sector to date"
"This is one of the best curated series in London or globally. This is a great opportunity to learn new things and going ons in the space." "A really great and informative session with a lot of impressive speakers!" We are always delighted to hear from you about Blockchain events, information and news – whether you are a newcomer or an expert, get in touch and let us know your comments and questions. Unblocked is a hub for blockchain events, education and information. We make blockchain technology accessible for a non-technical business audience. © 2017-2018 Unblocked Events. All rights reserved. Web Design and Development by SOKA Studio.